ECA Group announces a new order for its autonomous naval drone AUV (Autonomous Underwater Vehicle) from the range A18. A large depth version of this AUV dedicated to commercial applications of underwater inspection and cartography will be delivered to the customer by end 2019.It is a third A18 AUV produced by ECA Group following a sale announced in 2015 (see press release published in March 5th, 2015). The A18 AUV range integrates experience gathered during 20 years of AUVs developments such as ALISTAR, DAURADE, A9 and A27 as well as users’ feedback from several tens of sales. 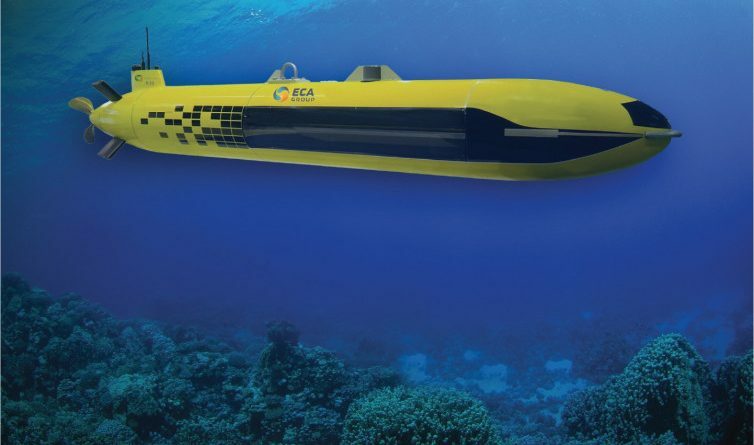 The A18 AUV benefits from ECA Group’s 50 years long experience in submarine robotics producing several hundreds of underwater robots such as one of the first worlds 6000 m AUV, the EPAULARD, developed for IFREMER in the 1980s.With its A18 AUV range, ECA Group has developed a family of AUVs as a best balance for compactness, endurance, performance, modularity, innovation and competitiveness. The sales price of the A18 AUV ranges from 1,5M€ to 5M€ depending on options and embarked sensors. This third AUV A18D can fulfil over 24 hours missions and operate up to 3000 meters depth. It will be used for hydrographic and geological surveys or oceanographic research, in the context of the exploitation of natural resources at sea, for inspection or mapping of oil fields or for search of objects and rescue (SAR). AUVs are being used more and more by sea professionals to obtain high quality underwater data, while ensuring safety for their crews and reducing logistics and maintenance costs. Equipped with state-of-the-art interferometric SAS sonar, A18 AUVs provide high accuracy detection and quickly explore large areas. A18 AUVs are equipped with decision-making autonomy modules depending on usage. An Automatic Target Detection (ATD) is used to automatically detect and sort objects in underwater clearance. Navigation modules using landmarks recognition allow navigation registration thus improving significantly the accuracy of data positioning. . An obstacle avoidance system allows the AUV to detect and avoid obstacles such as cables, rocks … The A18 integrates into the ECA Group UMIS ™ system or any other third-party system. 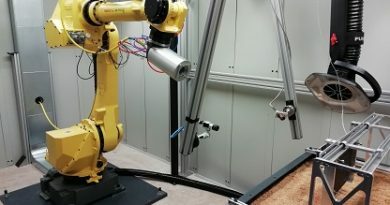 Under the supervision of UMIS ™, the A18 can collaborate on the same mission with other ECA Group drones (AUV A18 or A9, USV, ROV identification …) and thus benefits from all the advantages of a complete system allowing to manage the entire robot mission, even of several robots in parallel, to plan or quickly change the mission of the drone, to centralize the data and to treat them in real time and even in an automatic way. From a cyber security perspective, A18 AUVs are equipped with encrypted communication systems, in addition a data storage capability can be removed from the vehicle within few seconds enabling to store sensitive information in a secured place (safe). In addition, the A18-M, can accommodate specific recording and playback equipment as well as data processing according to the needs. Beyond the compactness facilitating their integration, AUV A18 have been studied to be easily implemented with a reduced staff. On ships, A18 AUVs can be launched and recovered in high seas (sea level 4 and above) by means of a system of automatic tweezers (patented device) implanted in the nose of the A18 and a robust and reliable system of cage (LARS – Launch And Recovery System). The A18 AUVs can be automatically deployed and retrieved by a surface drone ship, a USV (Unmanned Surface Vehicle) which is of particular interest to deminers who cannot approach them quickly. which wish to avoid intervening in the danger zone high-risk areas or to increase the range of the AUV by reducing transit times. A18 AUVs can be deployed and retrieved automatically by a USV, which is particularly useful for deminers who wish to avoid intervening in the danger zone or increase range of the AUV by reducing transit times. 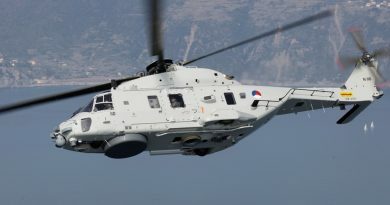 The efficiency and simplicity of management of an A18 aboard by the crew have been specially studied: For example, the battery can be replaced in 15 minutes or recharged quickly in situ. An advanced fault detection system ensures the integrity of the AUV before it is launched. It should be noted that the military versions of AUV A18 are specially designed to have the lowest magnetic and acoustic signatures and in compliance with NATO standards. 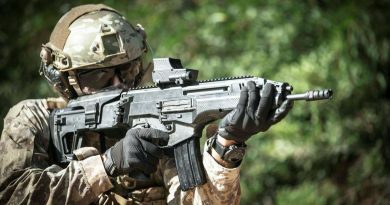 This is the case of the A18-M.